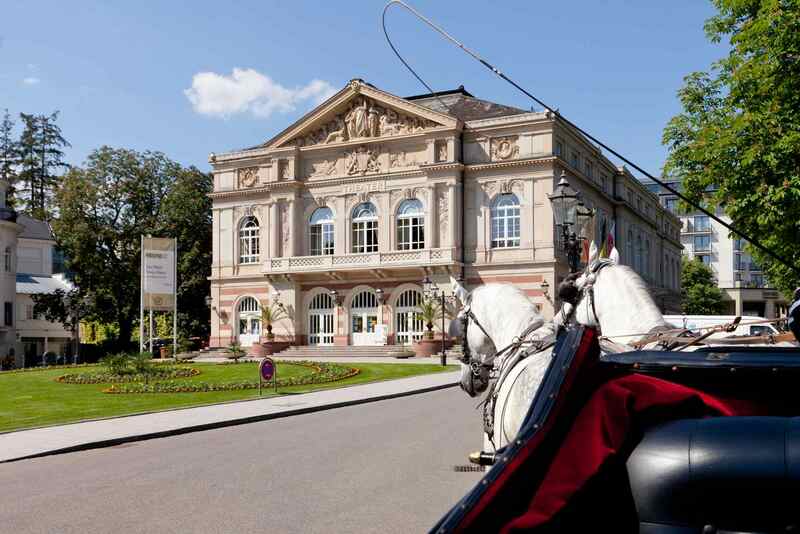 One has always invested generously in the cultural life in Baden-Baden, in the late 18th century the small metropolis blossomed into the summer capital of Europe and is still a hotspot with the largest opera house in Germany. 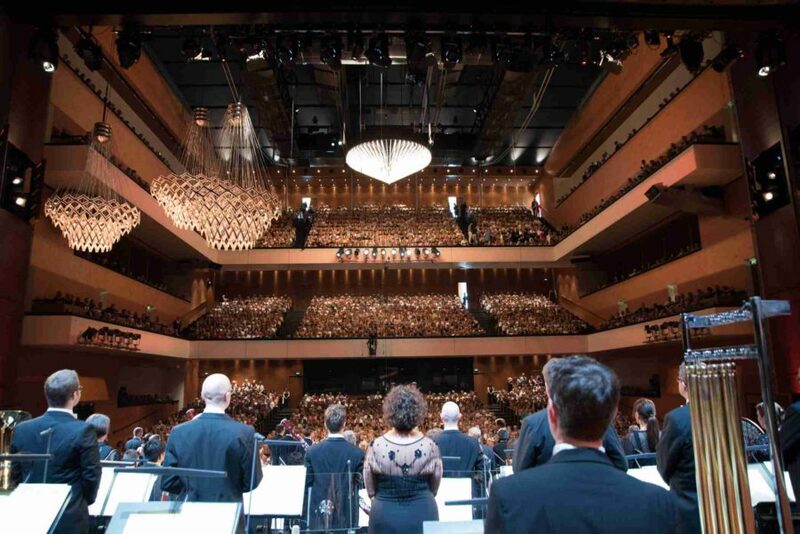 From opera to pop concerts, from drama to comedy, it’s all there. 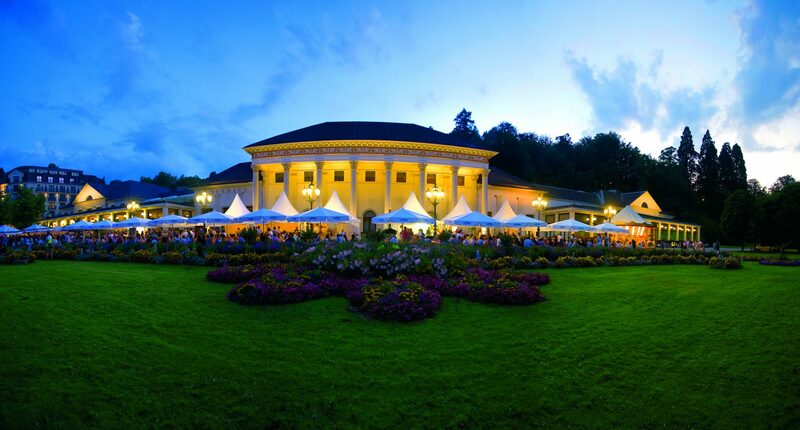 In summer and winter, the concert shell in front of the Kurhaus is used for such as the Baden-Baden summer nights, the Oldtimermeeting, the Kurparkmeeting during the big racing week or the Christkindelsmarkt. With our event calendar we like to inform you about the most important cultural events and wish you a lot of pleasure! The festival hall opened in 1998 is Germany’s largest opera house and concert hall. The neo-classic construction of the old railway station forms the grand entrance to the modern opera house, the largest in Germany. 2,500 visitors can follow an impressive varied progamme at the highest international level. The accoustics are unique, the building is spectacular. We recommend a guided tour through the opera house. For more information: +49 (0) 7221 30 13-101. The Municipal Theater was built in 1860-1862 by Eduard Bénazet, modeled on the Paris Opera. The prestigious Hall of Mirrors can also be rented for wedding ceremonies. The schedule of the theater under the direction of Nicola May is as demanding as it is varied. With the TIK, the theater in the backdrop house is still a small stage with a very private atmosphere available, which is used by the youth club of the theater or for special pieces. Always recommend the free introductory matinees on Sundays before the premiere of a piece. The director, set designer and dramaturge together with the ensemble give a foretaste of the staging. Tickets are available in the Trinkhalle or directly at the box office. 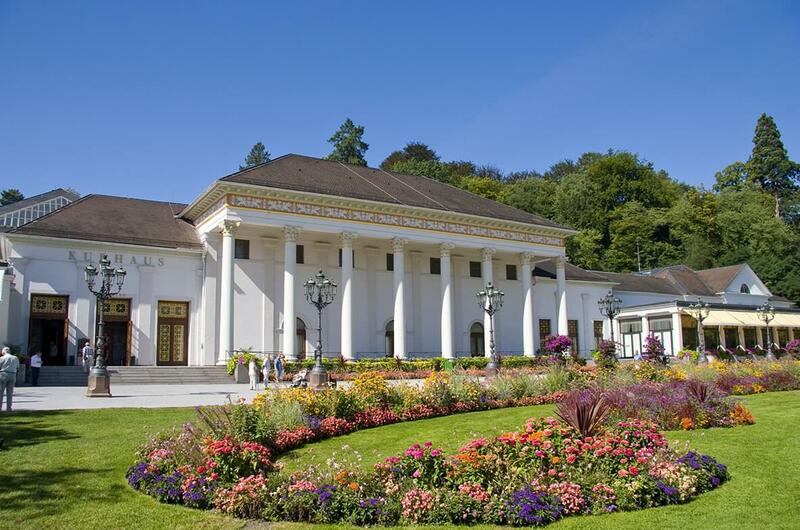 The history of the Casino in Baden-Baden has decisively shaped Baden-Baden. Today, you can still try your luck in the pompous gambling halls. Super highlights such as the Tango Night also take place in the casino. The Kurhaus is also known from radio and television: the sports person of the year (“Sportler des Jahres”) is honoured or the television film prize (“Fernsehfilmpreis”) is awarded here. It is always worth a look at the event calendar, the repertoire is very diverse. 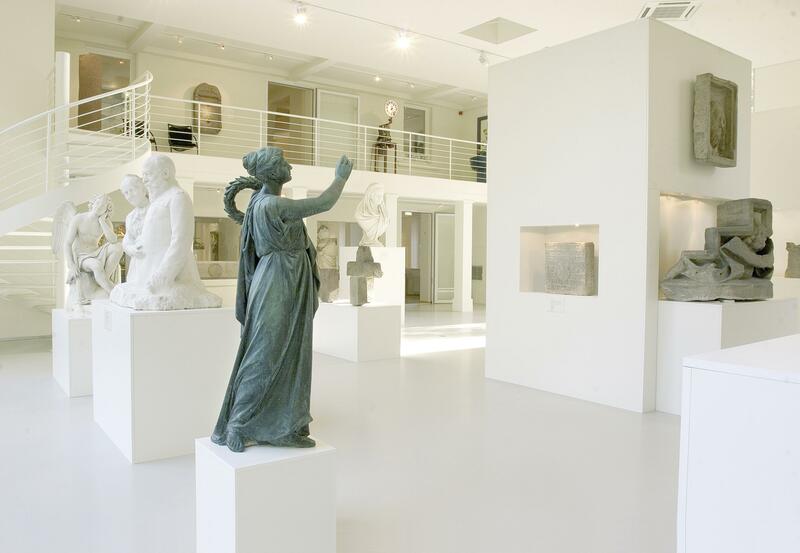 The museum in the “Alleehaus” at the Lichtentaler Allee presents the history of the city from the beginnings of the Romans, about bathing and cures in Baden-Baden, to the sophisticated times as a world bath in the 19th century up to the present. In addition, special exhibitions present an interesting insight into very specific topics and the culture of the city’s history. 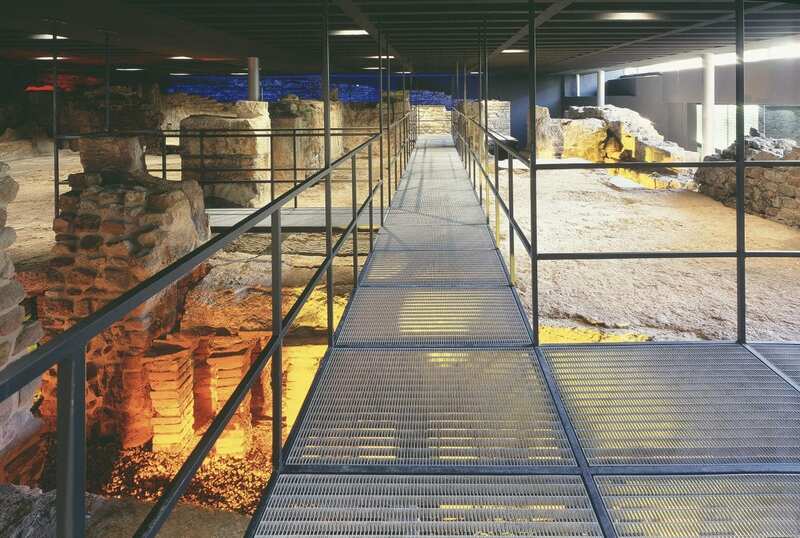 The Roman bath ruins, some remains of ancient thermal baths, are located below the Friedrichsbad. Here you can experience ancient bathing culture and fascinating construction techniques firsthand. Underfloor heating and wall heating, a so-called Hypokaustensystem, are available for viewing. Man-sized walls separate the individual areas from each other. Hard to believe that these are the simpler soldiers baths. The better baths for the senior military of the Romans are buried between the collegiate church and the market square. Black paving stones reveal the outlines. The showcases and steles in the passage to the Caracalla Therme, located between the Museum of Roman Bath Ruins and the Thermal Bath, are also very informative. Everyday objects and portraits show the habits of the bathing culture. And it´s carved in stone, that women already wore bikinis … or was it more like a dream of the soldiers stationed here?